Cefdinir is an advanced semi-synthetic (when an original drug chemically modified to isolate the active ingredient), antimicrobial drug i.e. third generation cephalosporin drug which is isolated from the plant, bacterial sources (Cephalosporium acremonium). It will kill the bacteria and is so called bactericidal and relieve us from bacterial infections. It is available in the market as Omnicef and Cefzon. It was first introduced in 1991 by Fujisawa pharmaceutical Co., Ltd. It was approved on December 4, 1998, by Food and Drug Administration (FDA). As of 2008, it was top selling cephalosporin antibiotic in the United States. What is Cefdinir molecular formula and weight? 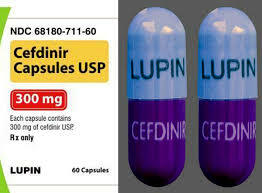 Cefdinir belongs to the class of organic compounds known as cephalosporins. These are compounds containing a 1,2-thiazine fused to a 2-azetidinone to for a oxo-5-thia-1-azabicyclo[4.2.0]oct-2-ene-2-carboxylic acid moiety or a derivative thereof. Cefdinir molecular weight: 395.416 g/mol. Cefdinir belongs to cephalosporin antibiotics drug class. They are generally classified under third generation broad-spectrum antibiotics, which mean they are resistance to most gram positive and gram negative aerobic microorganisms. First and second generation antibiotics are known to have less antimicrobial properties. 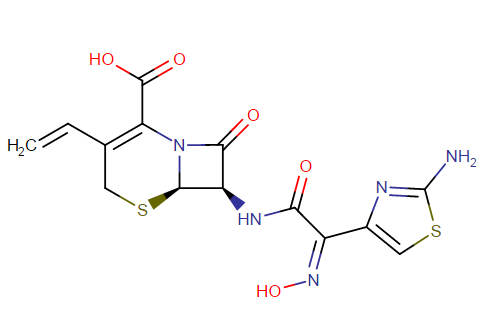 These extended-spectrum antibiotics are kept under the third generation and it is Cefdinir. They are also identified to be stable against beta-lactamases. All antibiotics, in general, contain beta-lactam ring in their molecular structures. This works by inhibiting the bacterial cell wall growth. Nowadays many bacteria are developing resistance against this class of antibiotics by producing special enzyme beta-lactamase. To avoid this bacterial growth, the doctor may prescribe beta-lactamase inhibitors (clavulanic acid) along with antibiotics. The best therapy for community-acquired diseases (bacterial pneumonia, Lyme disease, and sexually transmitted diseases). Most third generation antibiotics penetrate cerebrospinal fluid and act against bacterial meningitis. Less adverse effects compared to other generation of the drug. How does Cefdinir work in the body? There are different classes of antibiotics doing a different function. The specialty of antibiotics lies in differentiating from the bacterial and human cell and targeting bacterial cell. The beta- lactam antibiotic kills the cell wall surrounding bacteria. Bacteria build their cell wall by joining molecules together and beta-lactam blocks this initial process. Without a cell wall, the pressure inside the cell exceeds maximum level and cell bursts. Cefdinir class of antibiotics used to treat only bacterial infections, not fungus or protists. Taking antibiotics may kill healthy (friendly) bacteria which help you stay healthy. Studies show that people taking antibiotics less frequently will recover soon. Taking antibiotics for viral infections is an utter waste it may kill resident bacteria from your system. Cednir – Nicholas Piramal Ltd.
Kefdure – Sanat products Ltd.
Vignir LB – Madhav Biotech Ltd.
Cefdinir is an antibiotic which is prescribed for any infections caused by bacteria. Proven to be active against community-acquired pneumonia, chronic bronchitis at acute stage, maxillary sinusitis, pharyngitis/ tonsillitis, acute bacterial otitis media, complex skin related infections. Cefdinir is recommended for children with ear infections if they are allergic to amoxicillin class of antibiotics. Beta- lactam class of antibiotics is known to have a broad range of activity against these species Haemophilus influenza, Haemophilus parainfluenzae, Streptococcus pneumoniae and Moraxella catarrhalis which are the ultimate cause of these bacterial infections. Dosage is very important and it is determined by your health problem and doctors choice. Dosage is different for a different medication and it depends on a number of doses you take per day, the time interval between each dose, how long you continuing the medication. The data is available for following strengths: 300mg for capsule or tablet form; 125mg/5mL and 250mg/5mL for oral suspension. The oral suspension should be shaken well before usage, add water and keep the container at room temperature. It can be used for 10 days and 11th day the remaining unused should be discarded. For infections: maximum of 600mg only should be taken per day. 300mg can be taken every twelve hours (twice a day). Dosage period is 5 to 10 days. If the infection persists, consult a nearby pharmacist or health advisor. Pneumonia: 300mg orally for every twelve-hour time gap. Taken for 10 to 14 days. Acute Bronchitis: 300mg for every twelve hours or 600mg for twenty-four hours for 10 days. Sinusitis: 300mg twice a day or 600mg every 24 hours. Should take a minimum of 12 days medication. Skin infection (soft tissue): 300mg orally every twelve hours. It is not prescribed to take once a day as 600mg. Tonsillitis/ pharyngitis: 300mg every 12 hours for 10days. 600mg every 24 hours for 10days. Bacterial infections or for acute otitis media: Children 6 months up to 12 years the dosage is based on body weight and it should be determined by the doctor. Usual dosage is 7mg/ kg of body weight for 12 hours time interval or 14mg/kg taken per day for 5 to 10 days. The maximum dose should not exceed 600mg/day. Infants: baby up to 6 months of age is not advisable to take any kind of medication without prior notification to doctor. Pneumonia: Children >13 years can take 300mg every 12 hours for 10 to 14 days. Bronchitis: Children >13 years can take 300mg orally every 12 hours or 6oomg orally every 24 hours for 10days. 6months to 12 years: 7mg/kg orally for 5 to 10 days every 12 hours. Or 14 mg/kg orally for 10days every 24 hours. >13 years: 300mg orally for 5 to 10 days every 12 hours or 600mg/day for 10days. Acute Sinusitis: dosage is same as tonsillitis and maximum dosage should be maintained as 600mg/day it should not be exceeded. 6months to 12 years: 7mg/kg every 12 hours for 10 days. >13 years: 300mg every 12hours for 10days. It is based on creatine clearance rate (crcl). Creatine is a waste produced by our muscle tissue. In healthy (normal) individual it gets filtered in kidney and excreted wholly through urine. In the case of people with kidney problems, it gets accumulated and it needs to be tested frequently to find the glomerular filtration rate (GFR). Crcl <30mL/min: 300mg dose should be taken every 24 hours. Crcl< 30mL/min: 7mg/kg dose should be taken every 24 hours. Patients undergoing diabetes: It is studied that Cefdinir antibiotic contains sucrose amount of 2.86 g/ teaspoon. So they are advised to take 300mg or 7mg/kg of the dose given after completing diabetes and routine starts after 48 hours of completion. The maximum dose for Adults and teenagers for all complication was 600mg/day. The maximum dosage for infants is determined by the doctor. As by body weight, the dosage varies for each baby. 7mg/kg twice a day or 14mg/kg per day is generally prescribed dosage. Eyes and skin turning yellow. If the following side effects continue, check with a nearby health care professional for a quick remedy. They are a vaginal yeast infection, red colored stool, drowsiness, abnormal stools, vomiting, rashes, pruritus, insomnia, increased lymphocytes, white blood cells (WBC), platelets, breathing problems etc. Take Cefdinir as prescribed by your health care specialist. It should be taken in less or more quantity and no longer than recommended. Study the label information before using any medication. You can take Cefdinir along with food or without food. But antibiotics are generally risky to take with food. Milk contains divalent ions like calcium and magnesium this lessens the absorption of Cefdinir. Before taking any dairy products consult a doctor about the various interaction of food with a specific antibiotic. If the medicine upsets your stomach, try taking it with food. Tablets and capsules form can be taken along with water. Capsules should not be broken or chewed. It should be swallowed with a cup of water. Shake the oral suspension well before you use. Try avoiding handy-silver spoon for dose measurement. This may slightly increase or decrease the dose level. Ask the doctor for medicine cup for measurement. Intravenous mode of administration should be handled only by health care professionals. To get rid of injection soon, try taking medication at a full stretch. Even if you begin to feel better, complete full amount of dose because it may revert your infection. To better working of medicine try not to avoid any doses. If you missed any dose don’t rush it with your next dose because it may cause overdosage symptoms. The best result is obtained if cefdinir is taken at the same time each day. Recent studies show that out of 2000 people only 1 experienced withdrawal symptoms taking Cefdinir. People with 60+ age group known to have withdrawal symptom and they all are female. “Withdrawal syndrome” is occurring due to discontinuation of any medication. Here it has been reported in people with depression, pain, anxiety, stress, back pain and fibromyalgia. Taking other drugs like Percocet, marcaine, kenalog and fentanyl are also known to exacerbate this situation. This withdrawal syndrome is also observed in patients with withdrawing alcohol, narcotics, tranquilizers etc. So it is better to consult doctor taking multiple drugs at a time. Seeking health care specialist advice will lighten you from confusion. Precaution needs to be taken when your symptom is getting worse day by day. Then there is need to consult the doctor. Patients with diabetes: This medication may cause negative results for urine sugar tests. So, better check with your doctor before changing your medicine pattern for diabetes. Severe diarrhea may be another serious effect of Cefdinir. It may be due to antibiotic action towards bacteria. It will change the bacterial microflora. Do not take any medicine for diarrhea without asking a doctor. It may worsen the situation more or it will make it lasts long. Tell your doctor about your health issues and medication you have been following (prescribed, herbs, vitamins). Your doctor may change certain dosages and evaluate side effects to you after using this medicine. Antacids should be taken 2 hours before or after Cefdinir. Because it contains iron supplement it affects Cefdinir absorption. Inform your doctor if you have or ever had gastrointestinal problems especially colitis, infection related to swelling of large intestine and kidney problems. Diabetes patient should be cautious while taking Cefdinir because it suspension form contains sucrose. It has interactions with some medicines so inform your doctor if you are undergoing these medications: probenecid, which increases uric acid secretion in the urine. Once if administered with cefdinir it causes adverse side effects. BCG vaccine or live typhoid vaccine effectiveness may get decreased by cefdinir. The conversation needs to be made whether the patient has had hypersensitivity reactions to cefdinir before. Clostridium difficile associated diarrhea (CDAD) is observed in some patients with nearly all antimicrobial agents, especially cefdinir. This is occurring by altering the normal flora of the large intestine species leading to overgrowth of difficile. This secretes toxins A and B when these toxins increased in large amount it may lead to morbidity and mortality. Cefdinir should not be prescribed when other antibiotic medication you are undergoing. Patients with renal problems, the amount of cefdinir should be reduced based on creatine clearance rate. Safety and efficacy in babies under 6 months have not been established. How long does cefdinir take to work? Cefdinir is just a broad spectrum antibiotics acting against bacterial infections. So it should work within 24-48 hours to get rid of fever. For bronchial infection, it takes 48 hours to work but mucous may persist for 3-4 days. For a sinus infection, it takes 1 week for the cefdinir to act. Nasal mucous may persist for another week. Cefdinir is classified under the FDA category B list of drugs during pregnancy. Animal studies have revealed evidence of maternal toxicity (decreased body weight gain) and decreased fetal body weight. There are no controlled data in human pregnancy. Cefdinir should be given during pregnancy only if need is clearly established. However, there are was no teratogenic effect in rats and rabbits have been reported. When in higher dose (10mg/kg/day) it causes miscarriages in some rabbits and other problems like sudden weight loss. Before taking cefdinir make sure your up to date with your medical reports to your doctor. We cannot predict much with animal studies, it may cause an adverse effect in humans. So taking antibiotics only when needed is encouraged. Following administration of single 600 mg doses, cefdinir has not been detected in human breast milk. Other cephalosporins have been classified as compatible with breast-feeding by the American Academy of Pediatrics. It is not said to be harmless, but doctor prescription is needed for any drug uptake during nursing. Overdosage in the case of humans is not available. In the case of rodents, it doesn’t show adverse effect till 5600mg/kg of a single dose. When this level increased, toxic effects were observed and it shows nausea, vomiting, diarrhea, convulsions, epigastric distress, seizures etc. If overdosing causes any sudden effect then doctor consultation is a must. Remedy: hemodialysis is known to remove cefdinir from the body. So it can be a useful way in the removal of toxicity from the body. Cefdinir is rapidly absorbed from the gastrointestinal tract and it is distributed throughout the body. A drug which reaches the maximum peak in the plasma with the minimal time is the drug which is having good bioavailability. Bioavailability is the amount of drug which is present in the general circulatory system. Cefdinir maximum plasma concentration by capsule and suspension occurs 2 to 4 hours before administering the second dose. Absorption is reduced to 15% late by taking high-fat meal and dairy products. Is cefdinir a strong antibiotic? Not all the antibiotics, when taken against viral infection, causes a side effect. This cephalosporin class of antibiotic, cefdinir if used an overdose or used against bacterial infection it causes the growth of antibiotic resistant bacteria called as “superbugs”. When comparing cefdinir and penicillin dosage for streptococcal pharyngitis, the eradication rates at the completion of the therapy were 91.7% in case of cefdinir and 82% in the penicillin group. 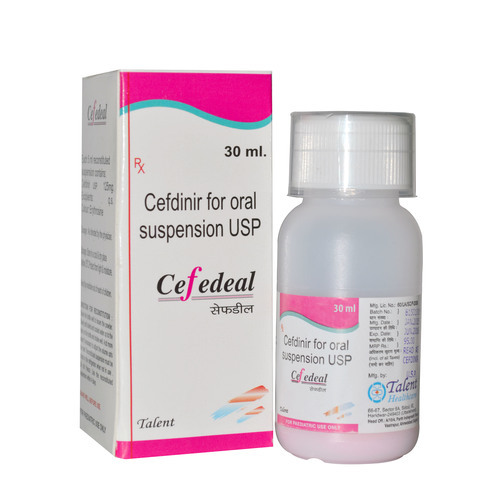 Thus cefdinir is considered to be strong and broad antibiotic class against Streptococcus pyogenes. From the recent studies of cefdinir and amoxicillin-clavulanate in the treatment of acute community-acquired bacterial sinusitis, 300mg twice a day and 600mg/day was given to patients using cefdinir and 500mg three times a day was given using amoxicillin. Cefdinir shows 90% cure rates and cefdinir causes fewer side effects compared to amoxicillin treatment. It is also considered to be the safe class of drugs because it doesn’t belong to the sulfur group of antibiotic. Is cefdinir a form of penicillin? Penicillin and cefdinir both belong to beta-lactam class of antibiotics, which inhibits the bacteria by building cell wall using cross-linking. But they should not be mixed together because if you are allergic to cefdinir since it is a close cousin to penicillin family, you will be allergic to penicillin antibiotic also. These antibiotics are known as bactericidal, which kills the bacteria. Cefdinir and fluoroquinolone (fluorine atom attached to the ring structure) are different classes of antibiotics. Fluoroquinolone belongs to quinolone drug class. It is also a broad spectrum antibiotic isolated from a plant or bacterial sources but they are classified under bacteriostatic which mean it will cleverly stop the bacterial growth and replication. Infectious disease society of America advised not to use Fluoroquinolones because it encourages the spread of multidrug-resistant strains of clostridium difficult infections. It is not observed much in other antibiotics so all other antibiotics are safe to use. It should be used only if there are no alternative treatment methods. Yes, cefdinir belongs to the cephalosporin drug class. It is an orally administering third generation class of antibiotic with more advanced version than a first and second generation. As increasing generations, activity against gram-negative organisms is high but lower gram-positive activity. Is cefdinir a generic drug? Yes, cefdinir is manufactured as generic drug earlier by 28 companies and recently by February 2017, there are 56 brands of generics of cefdinir are available. Is cefdinir a sulfa drug? Sulfa drugs were no way related to cefdinir. Sulfa drugs were the earliest drug developed in the 1930s for bacterial infections and it worked as “miracle drug” for soldiers in Second World War. Sulfa drugs were effective for pneumonia, leprosy and blood poisoning. Later from the studies, it is clearly shown that too much sulfa use may damage the kidney. Later penicillin came into play with fewer side effects and people opted for it. If you are allergic to sulfa drugs don’t use cefdinir because it may exacerbate the infection. Doctor advice is important before taking any antibiotics. Can I take cefdinir for an ear infection? Yes, it was the first recommended antibiotic for children with an ear infection. Generally, the doctor prescribes cefdinir if your child is allergic to amoxicillin. This can be taken twice or in a single dose. A single dose will be effective but taking twice will be gentler on the stomach. Doctor prescription is essential for using any drugs. Is cefdinir safe for toddlers? Newborn of <36 months baby immune system will be prone to bacterial infections caused by Haemophilus species and streptococcus species. A blood test will reveal whether the infection is caused by virus or bacteria and proper antibiotic will be prescribed by the doctor. Cefdinir Half Life? How long Cefdinir stay in your system? The half-life of a drug is the time taken for the drug to reduce to half its original value. Here cefdinir has a half-life of 1.1 hours or 2.3 hours (plus or minus 1.7). Let us consider 2.3 hours if a person consuming 10mg of medicine at 8 pm then by 10 pm there will be 5mg and by 12 pm they will be 2.5mg remaining in your system. Half life is dependent on how fast the drug is eliminated from the body. Before elimination, the drug can be translocated to the different fluid compartment or it may get destroyed in the blood. Is it safe to take cefdinir with alcohol? Since cefdinir causes dizziness and drowsiness this effect may get worse taking alcohol along with it. People should avoid using sharp motor tools or driving. The sensitivity of cefdinir can cause some gastrointestinal problems like vomiting, stomach upset etc. this is because some cells in the gastrointestinal tissue may get replicated by the action of this drug and the bacterial community gets affected. Here alcohol can irritate the GI tract causing the release of stomach acid thereby affecting GI tract. It may increase side effects like difficulty in passing urine, fever, some allergic reactions. Certain cephalosporin antibiotics may cause breakdown of alcohol in the liver. It simultaneously causes nausea, flushing, and vomiting. Cefdinir sometimes loses its function of fighting against bacteria in the presence of alcohol. So the bacteria get resistant to the drug making infection lasts longer with more side effects. Is it safe to take cefdinir along multivitamins with minerals? It is not advisable to take cefdinir with iron supplements because iron can bind with cefdinir in your stomach or intestines decreasing the efficacy ( the ability of a drug to initiate cellular effect) of the drug. It also affects the absorption capacity of the drug making the drug less effective. Take cefdinir 2 hours before or 2 hours after taking multivitamins with minerals. Consult your pediatrician before changing dosage level or discontinuing any medicines. Is it safe to take cefdinir and Motrin, Advil together? Both these drugs belong to same drug classification. They are the generic forms of ibuprofen. There are no specific interactions or there are minor interactions between these classes of drugs. Motrin and Advil belong to the nonsteroidal anti-inflammatory agents (NSAID) drug class. It works by reducing hormones which cause fever, pain, and inflammation in the body. It is proven to be used by the infants above 6 months. Can I use cefdinir if I have renal impairment? After administering cefdinir, it gets excreted in few hours in patients with kidney problems and it shows the beta-lactam antibiotics are showing less effect. From the studies, it also shows that serum concentrations of antibiotics are increased and there is prolonged half-life in some patients. It may delay the curing period of kidney problem. Renal function tests should be taken regularly when every side effect appears and when changing dosage chart. Nephrotoxicity was not observed in cefdinir usage. Can I use cefdinir if I have renal disease? Jaundice and elevated liver enzymes level (Hepatotoxicity) was well recognized in a patient after administering cefdinir for streptococcal It may be due to the overdosage of cefdinir because the patient was advised to take cefdinir 300mg for 10days. He completed the dosage 5 days prior to presentation. The sudden rise in alkaline phosphatase level was observed. So precaution is necessary while administering cefdinir in patients with liver disorders. Can I use cefdinir if I have seizure disorders? Several cephalosporin drugs known to enhance seizures (sudden attack), especially in patients with renal dysfunction. It is observed when the dosage was not maintained properly (overdose). If seizure appears, with doctor advice cefdinir should be discontinued. Can I use cefdinir if I have colitis? Pseudomembranous colitis is observed in patients using broad spectrum antibiotics (cefdinir) because it may alter normal microbial flora and causes overgrowth of Clostridium difficult. So caution should be handled in patients with gastrointestinal disorders while administering cefdinir. Can I take cefdinir with cholera vaccine? Live vaccines are generally defined as using weakened form of the virus but still keeping it effective (viable). Avoid using antibiotics with the vaccine because it will decrease the therapeutic effect of vaccination. The doctor will give you an idea on how to alternatively use antibiotics when taking vaccine treatment.